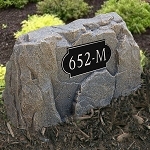 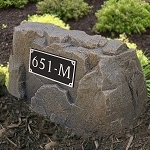 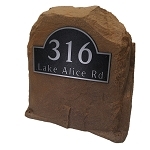 Display your address in an attractive landscape rock. 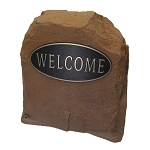 The rock is hollow inside and comes with anchors to secure it to the ground. 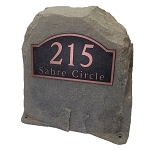 Several styles and colors are available.